The exotic colors and heady aromas of spices can elevate an ordinary dish into a sublime feast for the sense of sight, smell and taste. What’s more, most spices also come with therapeutic properties, so every meal that includes spices can become an experience in enhancing health and well-being. Ayurveda, the ancient system of healing from India, has been singing the praises of spices as “wonder-foods” for thousands of years. Spices are ingredients in many ayurvedic herbal formulations, and an ayurvedic expert, when giving you advice, is as likely to recommend specific spices to include in your diet as to suggest herbal supplements for you to take. 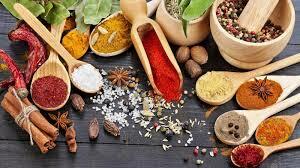 Check out our recommended spices to help balance your dosha! Organic turmeric is ever-present in ayurvedic cooking. 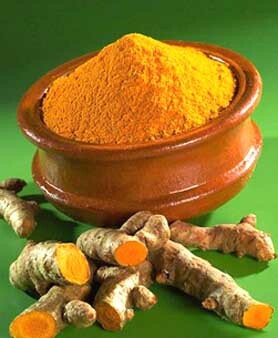 It contains the flavanoid curcumin. Organic coriander is a tridoshic spice highly appreciated in ayurveda. It is a cooling spice and contributes the sweet and astringent tastes. Ayurvedic texts suggest that it is good for digestion, wets the appetite, promotes a healthy response to allergens and also helps purify the blood. Organic cumin helps enhance digestion and is an effective toxin-hunter. Organic fennel is extremely good for digestion. It acts as a general toner for the digestive system, and is particularly good for enhancing agni, the digestive fire, without aggravating Pitta. Organic cinnamon is used to balance the digestion and to pacify stomach issues. Saffron is a golden, aromatic spice obtained from the delicate red stigma of the Crocus sativus flower. It has a drying effect and slightly-sweet flavor helps to cure chronic diseases such as asthma and arthritis. It is also useful in treating cold and cough, energy-enhancer, digestive aid, antidepressant and analgesic. This is also used to treat acne and several skin diseases. Roughly 80,000 flowers must be harvested from this perennial to yield one pound of saffron. Organic black pepper is considered an important healing spice in ayurveda. It has cleansing and antioxidant properties, and it is a bioavailability enhancer — it helps transport the benefits of other herbs to the different parts of the body. It helps the free flow of oxygen to the brain, helps enhance digestion and circulation and stimulates the appetite. Organic cinnamon bark is often used in ayurvedic herbal preparations to enhance the bio-availability of other herbs. It is a warming spice, and contributes the sweet, pungent and bitter tastes. It is excellent for pacifying Kapha and good for balancing Vata as well. Individuals trying to balance Pitta can also consume cinnamon, but in relatively smaller quantities.